Network provider O2 is set to test the potential of 5G technology for use of connected cars with a new scheme at the MillBrook Proving Ground. The initiative will see O2 power the connectivity needed for the development of the next generation of connected and autonomous vehicles (CAVs). The network provider explained 5G should be ideal for use cases such as this due to its high capacity and low latency. This allows such networks to transmit large quantities of data – including 4K video – to cloud-based intelligent transport systems, which will in turn help improve road safety and allow traffic authorities to monitor and manage traffic flow. 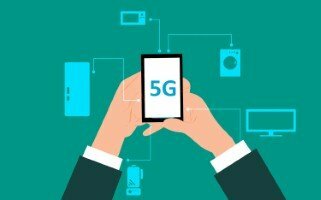 Ensuring the connectivity of CAVs has been identified as one of the key applications for 5G, highlighting to potential users how the technology will be able to do much more than simply offer faster mobile connectivity for smartphones when it goes live later this year. Brendan O’Reilly, O2’s chief technology officer, said: "5G will play a key role in how our country develops over the next few years. If implemented properly, 5G has the potential to drive economic growth, create jobs and enable a new host of technologies – including self-driving vehicles." The on-site network at Millbrook, which is the UK's main testing facility for the automotive industry, consists of 59 sites and 89 small cells utilising O2's 2.3 GHz and 3.4GHz spectrum and will be operated by British wireless solution provider Dense Air. It will go live in June this year, in advance of the first phase of O2's full commercial 5G rollout in Belfast, Cardiff, Edinburgh and London later in 2019. It will support the AutoAir project, which is a consortium of partners from across the automotive and telecommunications sectors that is looking to accelerate the adoption of connected and self-driving technology in the UK. Paul Senior, CEO of Dense Air and chief strategy officer of Airspan Networks, added: "O2’s integration and commercialisation of the 5G network at Millbrook to support both public and private mobile use cases is a world first and will be a reference deployment for the UK mobile industry as it moves to support for 5G applications for Industry 4.0, large enterprise and government."